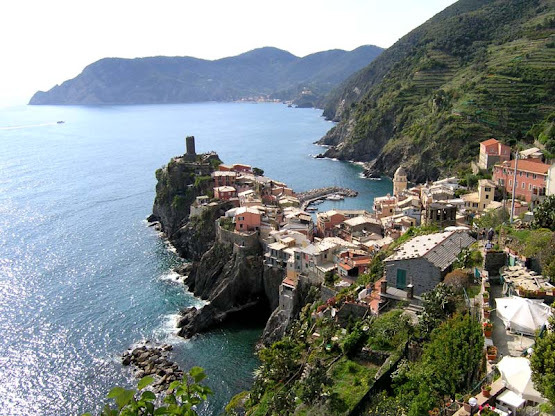 I have visited Cinque Terre in Italy before and have also posted quite a few times about this beautiful destination. If you haven't been to the area before you can trust me on this one and just go! Late spring and early summer are perfect seasons to do it! In my opinion besides insanely picturesque five towns, countless hiking trails are the other highlight of the area. Views from those paths are simply breathtaking. I was also surprised how easy it was to find a trail with hardly any hikers in the beginning of May (the coastal ones were pretty busy though). Make sure to pack your hiking shoes and a camera. You will use them both - a lot! When it comes to choosing an accommodation in the area there are basically two options to choose from. 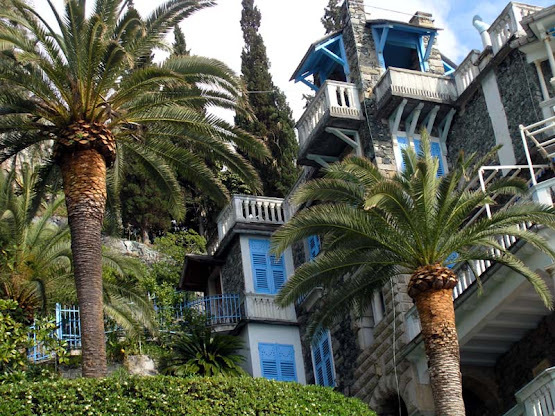 The most obvious and also the most expensive one is renting a room in one of the five villages: Monterosso al Mare, Vernazza, Corniglia, Manarola or Riomaggiore. The other - more reasonable option is looking a bit further away. 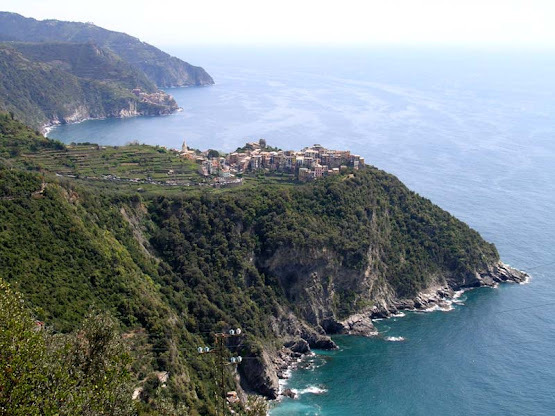 That is how I found Levanto - a town located just north from the famous five. If the access to this coastal town would be more of a challenge, it would probably be a part of Sei Terre. I like camping, so when I visited the area I chose a nice camping site in Levanto. 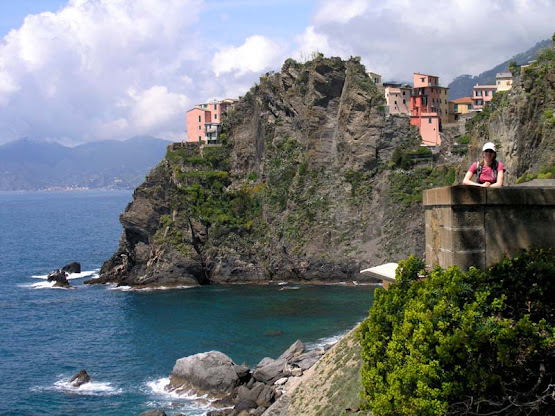 If you are looking for a room instead, there are many nice hotels Cinque Terre area. Since Levanto is a small town they are never located very far from the beach and the train station. Some hotels also rent bicycles to their guests. Since an old railway stretch has been converted into a bike track going from La Spezia to Sestri Levante you should definitely take advantage of this. I was not sorry for choosing Levanto as a starting point for my hikes. It is conveniently situated right next to the railroad connecting the five villages and makes a great base for exploring the Cinque Terre National Park. Reaching the closest village (the town of Monterosso is just around the corner) by train is a matter of minutes and they are quite frequent. Levanto has a nice stretch of sandy beach and some really beautiful houses situated just next to it. Some of them almost look like mansions. I wonder if they offer accommodation. The town center is full of various little shops. The one I liked the most is called "Il Laboratorio del Pesto alla Genovese". They produce their own pesto sauce, which the area is famous for. I bought it, tried it and enjoyed it. They generally have two kinds: a fresh kind and a kind in sealed glasses. I tried both kinds and agreed that the fresh one was better.